﻿ Which city consumes the most marijuana in the world? Partially-legal city Washington D.C. had, by far, the most expensive price per gram in the country at $18.08. Internationally, where weed remains illegal, prices soar. 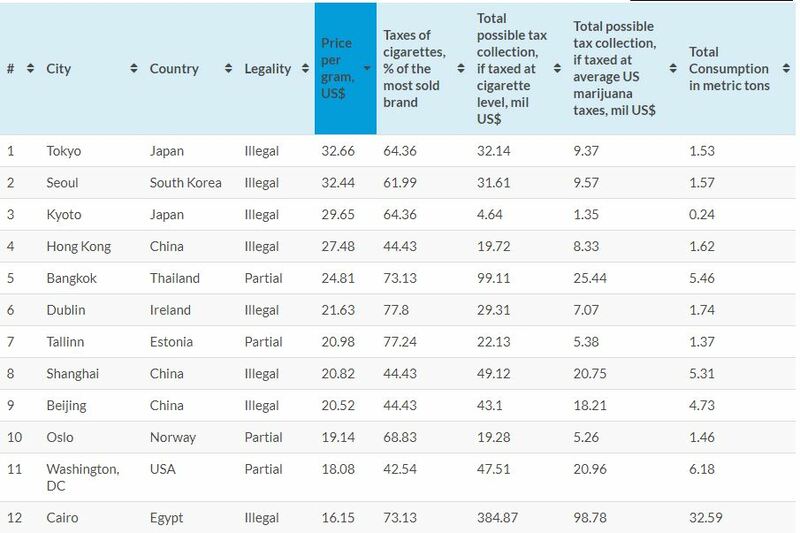 The most expensive marijuana per gram is found in Tokyo, Japan, at $32.66 USD per gram. 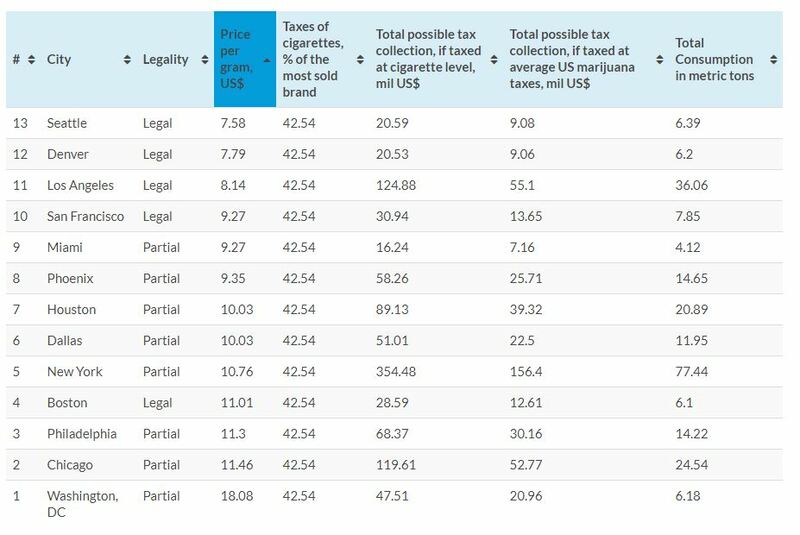 Jet down to Quito, Ecuador, for the cheapest marijuana on the list, costing just $1.34 USD on average. 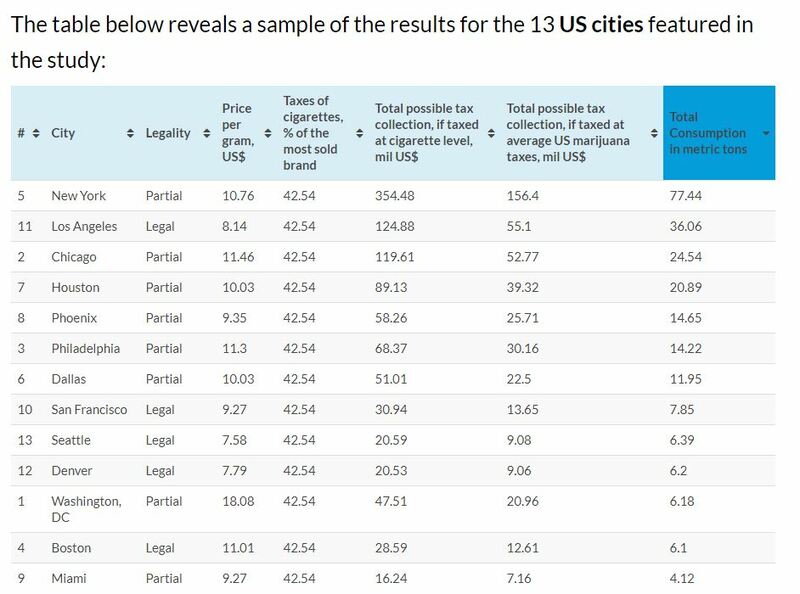 Using the current average tax rates on legal marijuana in America, Seedo researchers calculated how much big cities might rake in if it was legalized, taxed and regulated. New York City topped the list at $156.4 million in hypothetical taxes. If the current tax rate on cigarettes in America were to be applied to legal marijuana, that number more than doubles. In New York City, for instance, would haul in over $354.4 million annually. This impressive contraption undoubtedly ought to be on the list of the TIME's Top Best Inventions of the Year, somewhere between the hoverboard and the Google cardboard, because it will change your view of the munchies forever.